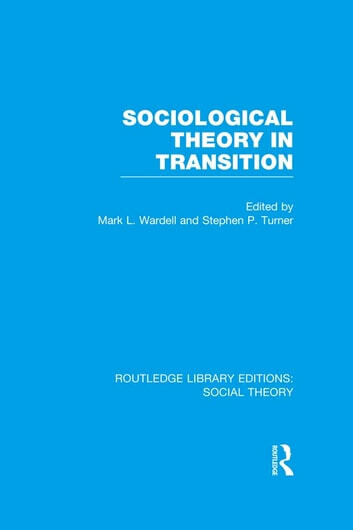 Current sociological theories appear to have lost their general persuasiveness in part because, unlike the theories of the ‘classical era’, they fail to maintain an integrated stance toward society, and the practical role that sociology plays in society. The authors explore various facets of this failure and possibilities for reconstructing sociological theories as integrated wholes capable of conveying a moral and political immediacy. They discuss the evolution of several concepts (for example, the social, structure, and self) and address the significant disputes (for example, structuralism versus humanism, and individual versus society) that have dominated twentieth-century sociological thought. Their ideas and analyses are directed towards an audience of students and theorists who are coming to terms with the project of sociological theory, and its relationship with moral discourses and political practice. 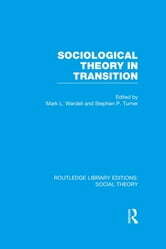 The authors of these essays are sociological theorists from the United States, the United Kingdom and Canada. They are all established, but not ‘establishment’ authors. The book contains no orthodoxies, and no answers. However, the essays do contribute to identifying the range of issues that will constitute the agenda for the next generation of sociological theorists.